Our team can advise you quickly whether your asset has development potential. We have a local team of Land Partners, who are happy to come out and discuss more details with you at absolutely no cost or obligation. Wide or deep plots – Your wide or deep garden may provide space for one or more new houses to be built, without compromising the existing property. 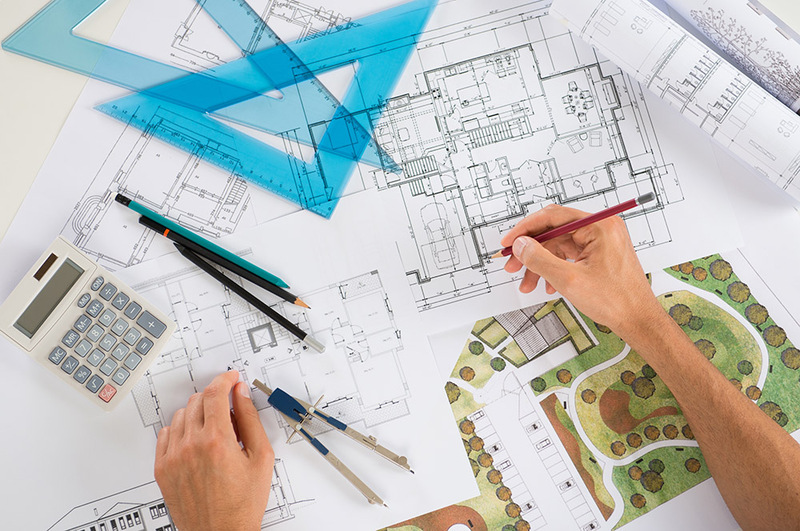 If so, we can assist you with the planning process and bear the cost risk of architect’s fees and planning fees required to obtain permission including any planning appeal. If part of your neighbour’s garden is also needed to make the scheme viable, we can negotiate with your neighbour(s) to save you embarrassment and agree a fair share of the profits for participating landowners. In some cases, it may be better to demolish and replace an existing property. This is generally most likely where a bigger house can be built in a prime location or where more than one property could replace the existing house. We can very quickly assess these situations given our extensive experience, so if you have a house on a wide or deep plot and you wonder what can be done, please contact us for a no obligation chat. Back gardens – We have considerable experience of successfully assembling development sites from a number of long back gardens. We will work either with you, or discreetly on your behalf, to encourage your neighbours to join in with the scheme to allow us to assemble the best scheme possible. Because of the long-term nature of these schemes, we urge home owners to contact us sooner rather than later to enjoy the benefit of any planning gain; it is heart-breaking to move house and see your successor make the small fortune that you missed. Automotive Sites – changes in the car and fuels industry means that a car showroom, workshop, or petrol forecourt can have a higher value for residential development, than it has to the existing business, making relocation or even retirement a very attractive prospect for the site owner. We can review the planning potential for the site discretely, without causing any gossip or disruption for the existing business, and without obligation. Out of character / non-conforming uses – You may own or have seen a commercial building, perhaps a small factory or workshop, in an area that is otherwise residential. These light industrial units were more acceptable in the Industrial Revolution than they are today. We can guide the owners on planning for modern town houses, cottages, or flats more in keeping with the residential area. If you own such a building or you know someone that does, please contact us for a no obligation chat. Barn conversions – If you own or know someone that owns farm buildings, we may be able to sympathetically convert some or all the farm buildings into new homes. We have the specialist skills required for the planning and conversion process. Please contact us now for a no obligation appraisal. Green Belt land – If your site is viable, we can work on your behalf to promote site through the planning process. Please get in touch so that we can give you a no obligation appraisal and consider taking the site on for promotion. Retirement Flats – the changing demographics means the demand for retirement flats is growing. These developments can succeed on sites in central locations where other uses may fail. Contact us to discuss your site to see if it might be suitable for a development in this buoyant market sector. Brownfield land – the UK Government is giving priority to development of what they call brown field land, before they turn their attention to releasing green-belt sites. Brown field sites are likely to be favoured but expert negotiation will still be required to maximise the planning achieved. Sites with planning permission – If you own or know someone that owns a site that has been granted planning permission and you are looking for a developer to take on the scheme, please contact us as the scheme might be just what we are looking for next. For the right schemes, we are willing to buy unconditionally.